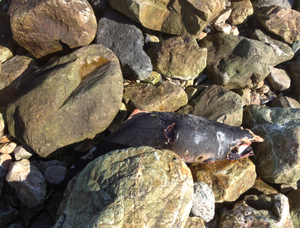 A young dead porpoise washed up on the east pier in Howth [North Dublin] today. 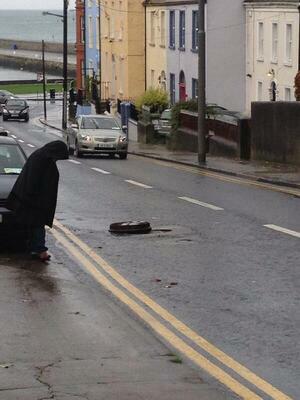 Washed Up On Sandymount Strand Howth, Co Dublin, This Afternoon Howth Manhole Drama Howth That Happen? 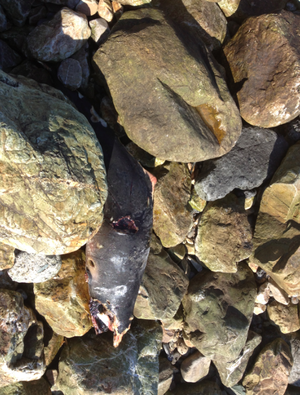 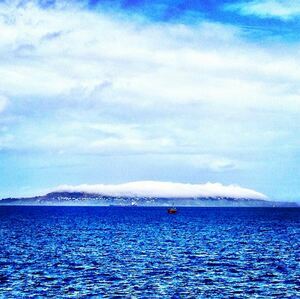 Posted in Misc and tagged Howth, porpoise at 9:08 pm on May 21, 2012 by Broadsheet.